We're pleased to introduce Fearless Traveler, our collaboration with Cervecería Granizo in Quilpué, Chile! 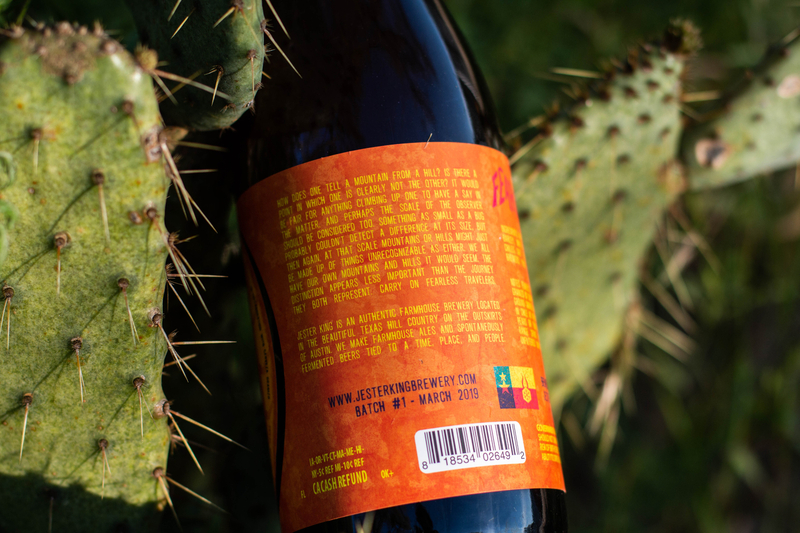 Fearless Traveler is a farmhouse ale brewed with Merkén and refermented with fruit from the prickly pear cactus. Merkén is a blend of ground smoked chilis, toasted coriander and salt. Fearless Traveler was brewed in October when we were visited in Texas by our good friends Óscar and Germán from Granizo. They brought the Merkén with them from Chile, and we sourced the prickly pear from Texas. Óscar and Germán represent what's best in brewing when it comes to international friendship and warmth. It was an honor to host them and call them friends. 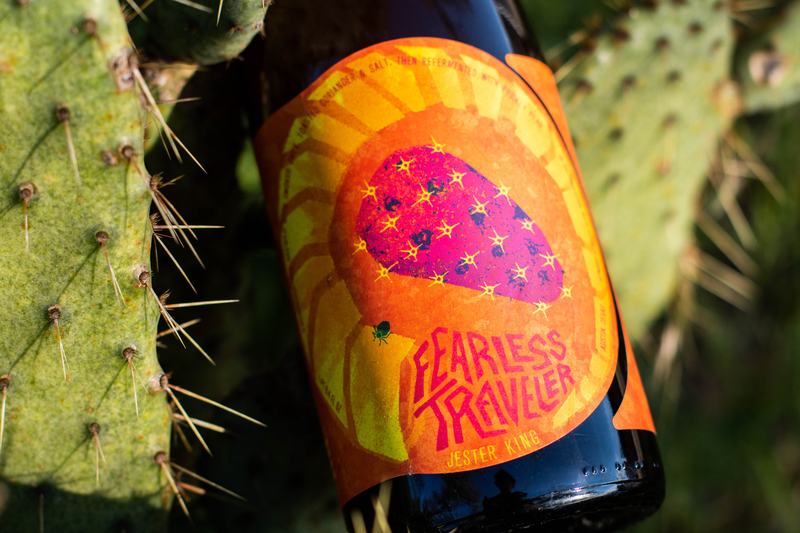 Fearless Traveler is 6.5% alcohol by volume and was naturally conditioned in bottles and kegs. It was packaged in January, and is being released today (03.28.19)! It will be available by the glass and in bottles to go (750ml/$14). We have about 2,000 bottles available (no bottle limit), and we anticipate that a small portion of the batch will be distributed beyond our brewery. Cheers! I first familiarized myself with the ingredients, noting that Prickly Pear was indigenous and pervasive throughout the Americas and that Merkén was comprised of smoked Cacho de Cabre Chiles (Goat Horn Chili), toasted Coriander (first named by the Greeks for its ‘buggy’ scent), and salt. I started to think of Chile and its gigantic Andes Mountains, and then of the Texas Hill Country in humorous comparison. I thought of the vast difference in scale. I imagined the in-between and wondered at what point a large hill is any different than a small mountain. My thoughts of scale turned to the vast geography that lay between Jester King and Granizo. What other cultures have traversed that terrain? How has the human understanding of that scale changed through time? I thought of the other organisms that live and move within that space. Prickly pears slowly making their way across the entirety of the Americas long before humans ever did. Animals, domesticated and wild, passing through life there. All of them at living at their own particular scale. Somewhere in this space between is a tiny little bug, traveling across its own mountains and hills, one right after another, oblivious to our designations for them. This idea stilled me, and I chose to capture the little moment. A fearless little traveler makes its way across a goat horn range. Perhaps the fallen prickly pear that lies in its curve was a previous challenge. What they are and how they got there matters not at its scale: They are but terrain to be crossed. From what vantage are we merely the same? We all have our own hills and mountains to traverse.